StayinFront offers mobile field force solutions that support traditional and modern trade, from big box stores to small independents. Your field teams will be able to complete work more efficiently with guided workflows & instant access to information from across the organization. 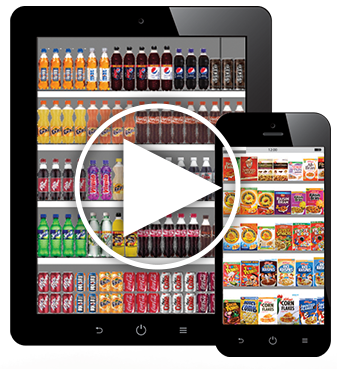 Companies, from small FMCG independents to multi-national organizations are generating results with StayinFront retail execution, field force management, van sales/direct store delivery (DSD), retail distributor management and in-store selling solutions. Empower your field teams with the tools, processes and data to complete more work in less time. Simplified processes and automated routine tasks accelerate retail execution to save time and improve accuracy. Establish guided workflows using your own sales processes and best practices, optimized and tailored to that specific visit. Role-based configuration lets you tailor the system so each user has only the relevant data and functions they need to do their job. 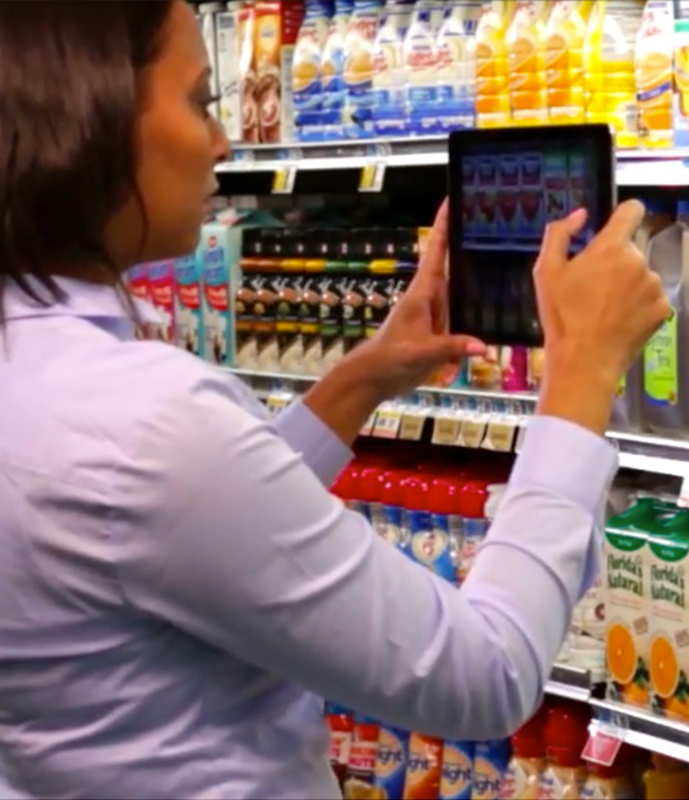 Digital merchandising integration speeds up in-store auditing process and captures more accurate data on distribution, out of stocks, share of shelf and compliance. Quote current prices and discounts for each visit. 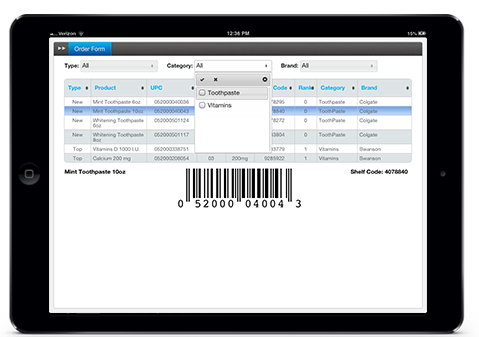 Scan on-screen barcodes, capture electronic signatures and submit accurate orders on-the-spot. 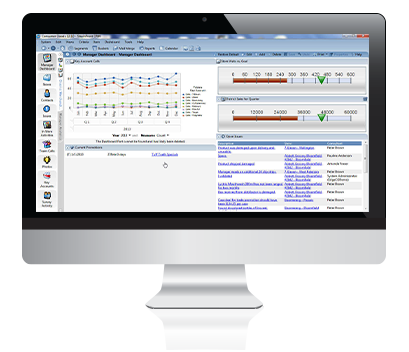 Track real-time data on store conditions, competitive activities and field performance. 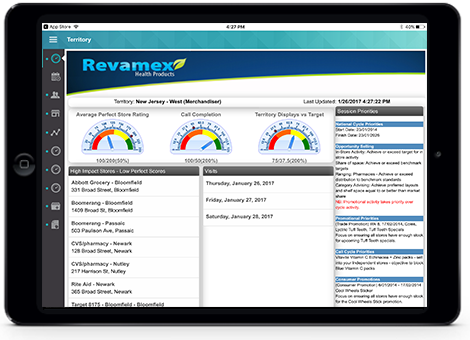 Easy to understand dashboards and KPIs let management and field reps view performance against target goals and take immediate steps to improve results. 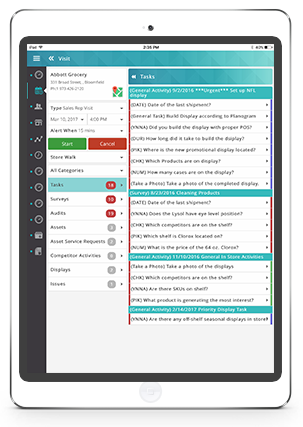 StayinFront's secure 2-way communication lets managers and field teams easily share information, competitive activity and best practices to improve performance. Built-in analytics lets managers and reps drill down into data from internal and external sources to identify trends, respond quickly and set new actions in motion. 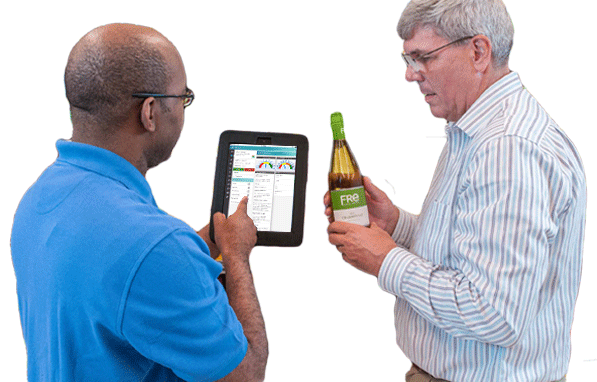 Get real time data on store conditions, field performance and competitive activities. Know where field reps are, what they have done, what they will do next and progress on scheduled activities. 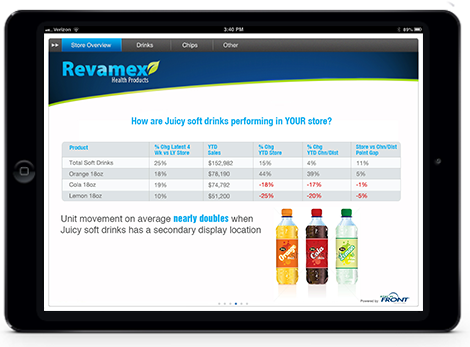 Field teams get faster decisions using powerful presentation and selling tools that deliver dynamic, customized presentations incorporating store-specific data with multimedia. 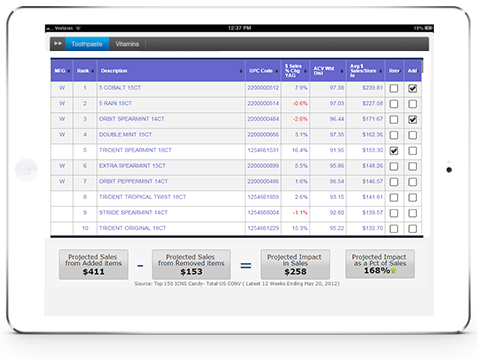 Access store level and market data to show "what if" substitution scenarios and calculate ROI with StayinFront PitchBook. Support in-store pitches, place orders on the spot by scanning on-screen barcodes. Gather metrics about past pitches to determine what’s working. Use this information to refine your pitch to keep it fresh and relevant in changing field conditions. Users can dynamically explore and analyze data stored in the system and from external data sources, respond to adhoc inquiries with accurate and timely answers, see results quickly and set new actions in motion. Users can easily launch dynamic, customized presentations in store, combining actual POS data, store conditions and multi-media for engaging and compelling pitches. Communicate all related promotional tasks and compliance checks, as well as enabling forecasting volume and securing orders to drive selling and measure compliance. 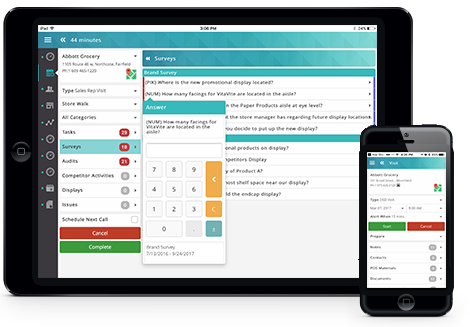 Enables field reps and managers to add and track the achievement of new selling opportunities in each store. The results of these selling efforts can then be tracked and measured with StayinFront Analytics and KPIs. Easy access to all critical order creation data – relevant price lists, billing accounts, promotional pricing, discounts, free goods and tax rules - while in the field and offline from the server. A performance management tool, displays visually captivating graphics to let users define their own KPIs, track them over time and action trends and results. 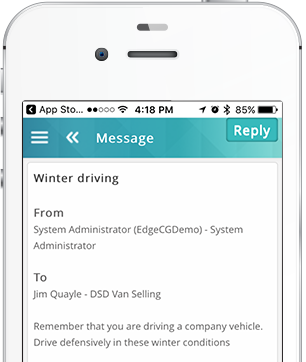 Combines navigation elements, such as calendar summaries and task lists, with informational elements like messages. Analytics views can be embedded and used interactively inside the dashboard. Sales and scan data can be viewed several ways as store summary information, in Analytics reports, and the basis for account/outlet level KPIs and can be easily used to support fact-based selling. 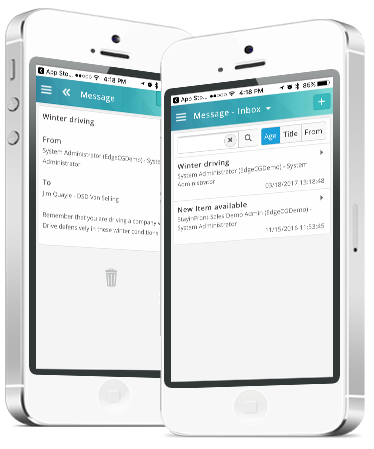 Generate and print out orders, invoices, credit memos and payment receipts on mobile Bluetooth printers.